Many of you know that I have a high-tech background and there are few industries that are more high-tech than semiconductors. I worked in the semiconductor space through the mid 2000’s attending my fair share of Design Automation Conferences, DAC as it’s commonly called. I decided to attend the conference this year in sunny Austin Texas, where the daily temperature topped 100 degrees, to catch up with friends and speak to Electronic Design Automation (EDA) CEOs about helping them grow by improving the flow of leads and opportunities for their sales teams. We formed Bristol Strategy because we understood the change in behavior of the modern buyer. Businesses struggle to gain access to prospects until it is late in the sales process, if at all. Inbound Marketing addresses that very problem and we believe that high-tech CEOs need a marketing partner to help them address this issue - a company that gets technology products and services. The major EDA vendors dominate the share of voice at the conference. The Cadence, Mentor and Synopsys booths were always full. I am constantly amazed by the products that are enabled by the semi industry and its ability to drive down the cost of high volume semiconductors (not always the cost of creating and fabricating them though) that power each new electronic gadget, while increasing the density (and capability) of modern semiconductors. Let’s face it, it is really difficult to create a semiconductor that works and EDA companies are the innovation engine that make it possible. The EDA startups I spoke to had great product ideas and a vision to address niche problems in the semiconductor design or fabrication process. IoT (Internet of Things) solutions and products were the talk of the conference with multiple vendors focused on the need for securing the many devices that now invade our lives and protect us from hackers. The DAC conference had a special IoT area on the exhibit floor and technical sessions to drill into the technical details. I can tell you that at home, IoT devices are in full force including Nest thermostats and smoke detectors, Amazon Eco, and numerous power switching devices. We visited the Verific booth to catch up with our friends and learn about their new acquisition of Invionics. 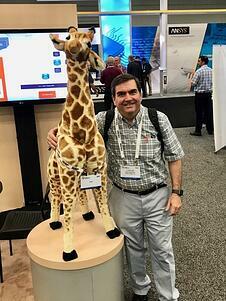 Of course they were easy to find with the large giraffe named Pat watching over their booth. I mentioned to the Verific team that the image of the giraffe just brings smiles to my face. Perhaps they chose the largest living mammal as their mascot because Michiel and Rob are so tall, at least compared to me! I look up to them as I look up to Pat in the picture to the right. 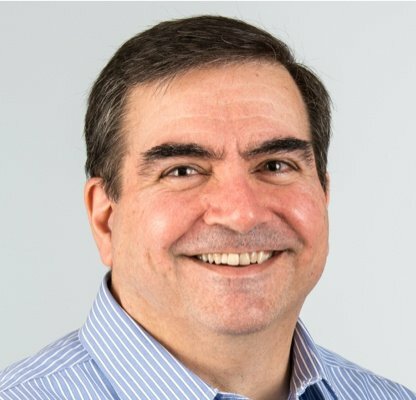 Before DAC, Verific acquired a solution from another EDA company called Invionics. They made a product called Invio that enabled EDA startups to very quickly prototype new design automation tools. Invionics abstracted the Verific API while also packaging up several design process macros that are typically the building blocks of most EDA tools. If you are not a semiconductor geek then this may sound like a lot of techno-babble but just rest assured it helps semiconductor entrepreneurs get to market fast. Let’s face it, the location of conferences has a big impact on its success for attendees and exhibitors. The DAC conference has always been better when it was hosted in San Francisco or better yet, if it were to be hosted in San Jose. The concentration of semiconductor companies in the Bay Area is so high that the conference would attract day visitors and others in the semiconductor industry can always benefit from other meetings in the bay area. Startup companies would benefit by the greater foot traffic and the easy access would amplify the value for all. The DAC location has been a topic for years. Let’s hope that logic prevails in the future for the good of the industry. It is good news that the 55th DAC will be at the Moscone Center in San Francisco next year. I expected a warm welcome when reaching out to the many CEOs I spoke to at DAC, and the reception I received was well beyond my expectations. Top line revenue growth is a perpetual focus and most struggle with strategies to improve sales productivity and gain more value (and higher quality lead flow) from their marketing investment. The semiconductor industry enabled the creation and proliferation of the internet and now since information about virtually every product and how to solve any problem is out there online, engineers research solutions to their problems first before speaking to anyone. They are shutting out sales and marketing interruptions which is frustrating EDA sales teams. Inbound Marketing is the methodology that solves the access problem, because at its core is content that answers the very questions your best prospects are asking and these answers are optimized online so it attracts and converts these prospects into warm leads for your sales team. It is as simple as that. Inbound, as it is commonly called, if implemented poorly, may not produce results. 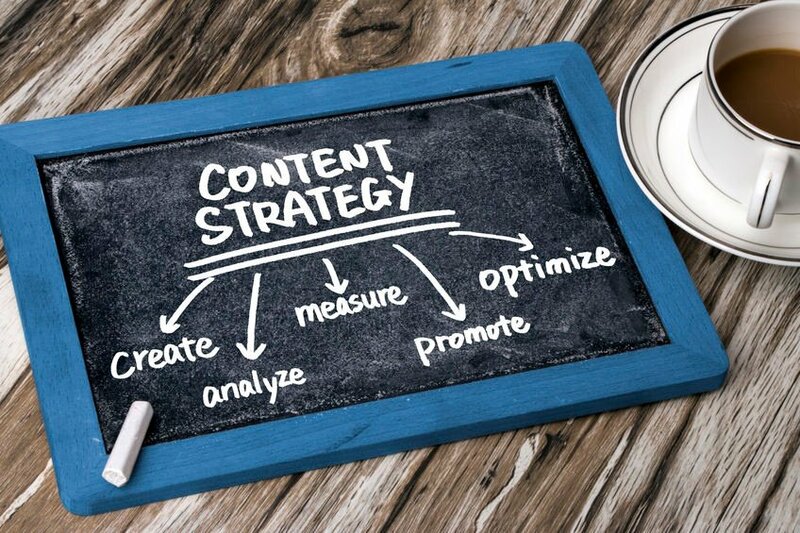 Since content is at its core, businesses who create a content strategy that aligns with the detailed factors that cause the most engagement gain the most success. But it does not stop there. Executing a successful online marketing plan requires analytics at the contact level in order to optimize engagement of visitors. 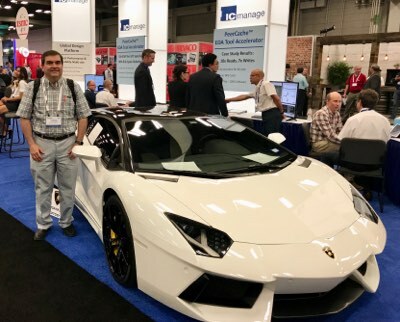 IC Manage rolled a Lamborghini onto the conference show floor. I have never been up close to a car like this one. Being a car racing fan, especially endurance races like the 24 Hours of LeMans, cars like the Lamborghini drew me in like a moth to a flame! Of course I can dream of driving one and perhaps owning one some day. It could have only been better if one of the new Ford GT’s were on the floor as well. We all know that semiconductor design is compute and network/storage intensive. IC Manage launched PeerCache™ a year ago at DAC and were featuring it again this year. PeerCashe enables teams to speed up their semiconductor design process without changing tools or their environment. This is clearly an innovation that all chip designers could benefit from. There is a very good article about PeerCache on John Cooley's website, DeepChip. Back to the techno-gadgets that were used to attract visitors to booths. Other vendors had virtual reality headsets for attendees to gain an immersive experience for all to see. Many offered Amazon Echo devices as giveaways. The giveaway at many of the booths was the recent hot gadget, Fidget Spinner. I am not sure it helps a person to concentrate however I found it mildly entertaining for a very short time. On Monday night I attended a charity event for a scholarship in Gary Smith’s name at the Austin Speakeasy. Gary Smith was always very good to me and the companies I worked for over the years. You could ask him for his advice and perspective and he would offer his opinion and sometimes support by placing your product on the Gary Smith "Must-See" list at DAC. Gary always made time for everyone. I understand that the charity fundraising committee made significant progress toward meeting their endowment goal resulting from the event. It is really great to see the industry rally together like this for such a great cause. Anyone who is interested in offering a donation can make it to the Gary Smith Memorial Scholarship Endowment at this link. 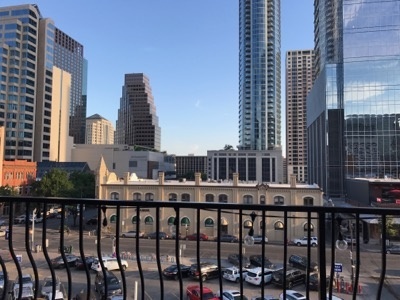 The image to the right shows the view of downtown Austin from the roof of the Speakeasy where the charity event was held. Attending DAC was a worthwhile event for Bristol Strategy because of the great conversations with semiconductor design CEOs and Marketing professionals. It was an added bonus to socialize with many friends in the industry and make many new connections. Here is a toast to you, all of my semi industry friends and a special toast to Gary Smith! We will be following up in the coming weeks from our meetings. If we did not have an opportunity to speak to you at the conference, please reach out. I am always seeking new opportunities to help businesses grow. In the meantime, please take a moment to learn about the 8 steps to generate qualified leads for your business with this eBook or reach out to us for a discussion. 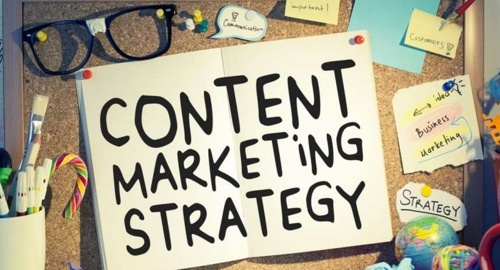 Bristol Strategy is a full funnel inbound marketing agency and inbound sales agency offering the full complement of Inbound Marketing services that enable our clients to surpass their business objectives by transforming the way they engage with their buyer on-line. Reach out to us to learn more about how our experience and capabilities can help your business grow.